I had a dear friend ask me to fix up a picture she took of her son; so I thought I would include all those who are interested in how it was done. 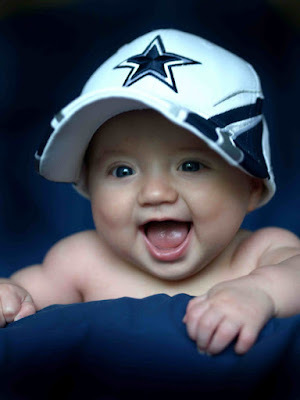 The original straight out of the camera is a great picture that captures his cute expression and obvious innate love for the Dallas Cowboys. 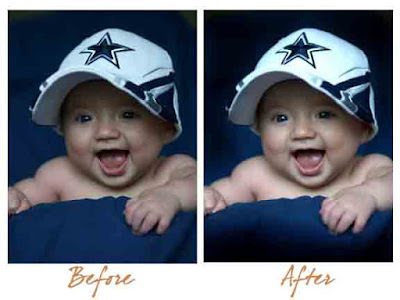 The "After" is what I did to tweak the photo a little and make the little man stand out from all that blue. First I brightened the photo and increased the contrast a little. 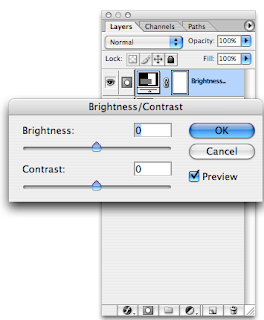 Next I darkened the corners with the Burn Tool. You just circle the spot and move it over a little bit.